Long story short, I was out of town on a business trip and had to leave everyone/everything behind : kids, husband, blogging, social media... The last days were pretty tough, believe me! Anyway, I'm back now and I literally have a million things to show you. 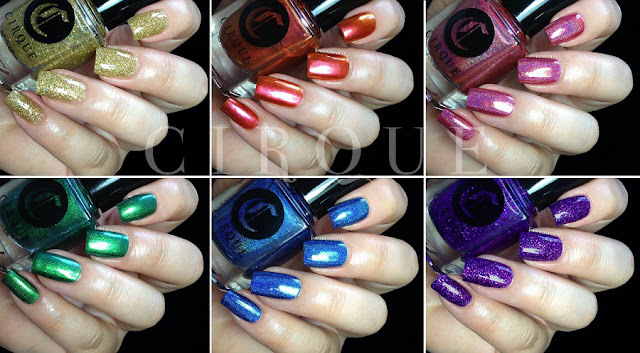 Today : the first half of the Cirque Arcus collection! 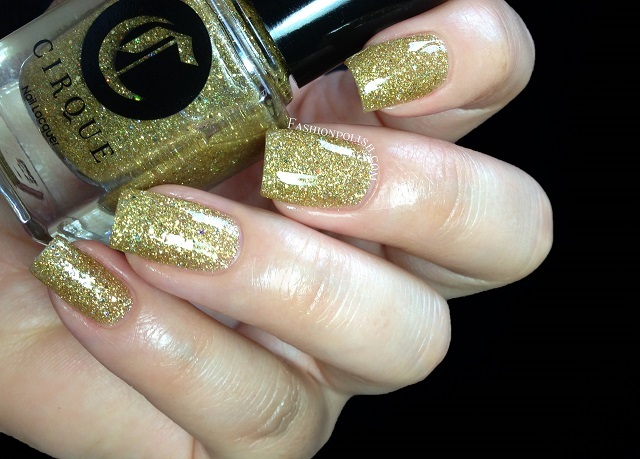 Helios is a yellow gold glitter bomb : dense mix of ultra fine gold glitters and gold holographic hexes. 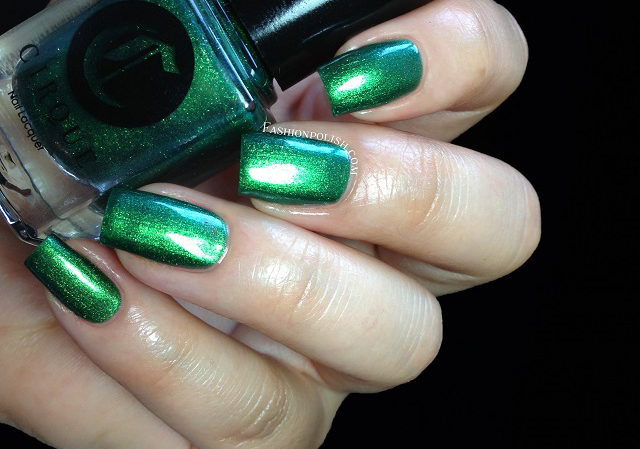 Formula was surprisingly even and opaque and it reached full opacity with 2 coats. 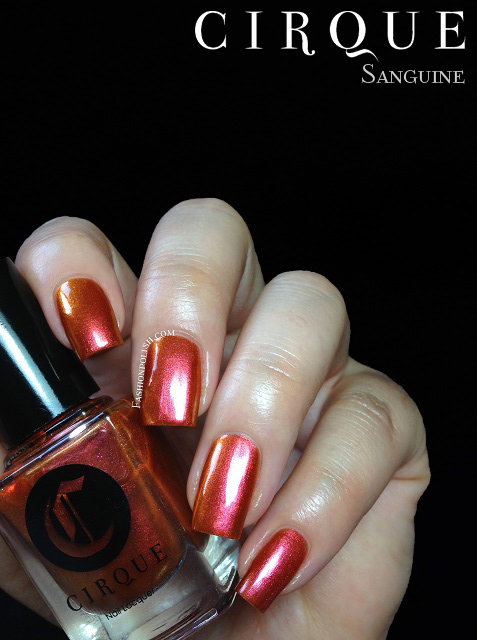 Sanguine is a red orange shimmer with gold duochrome. Super smooth, with zero brushstrokes and a lot of glow, formula was on the sheer side but it built up nicely with 3 thin coats. 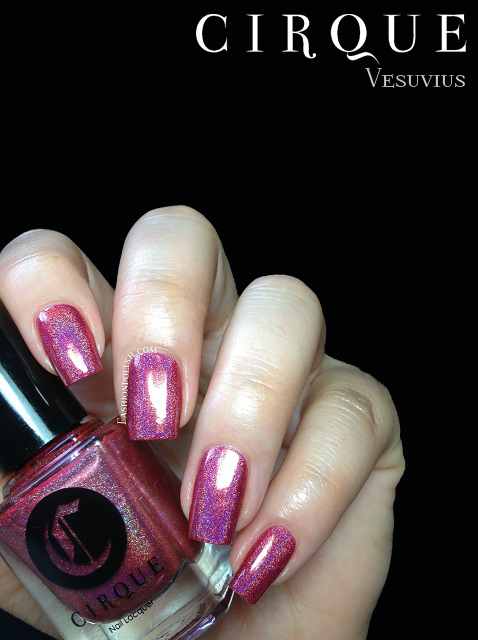 Vesuvius is a strong raspberry pink holo. 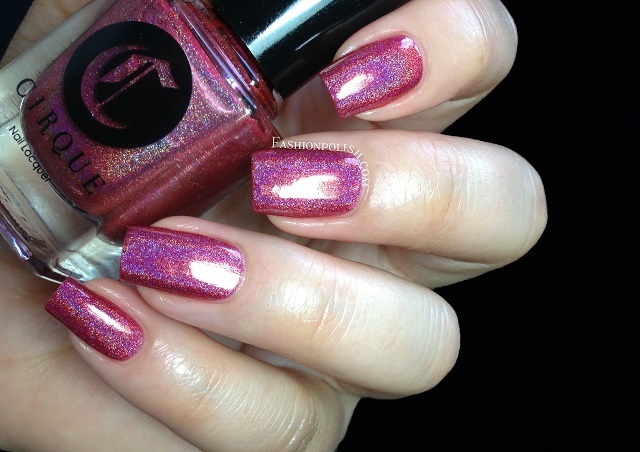 If you're looking for a non-girly pink holo, look no more, you'll love Vesuvius! Application was simply dreamy, without any patchiness or bald spots and required 2 coats for complete coverage. 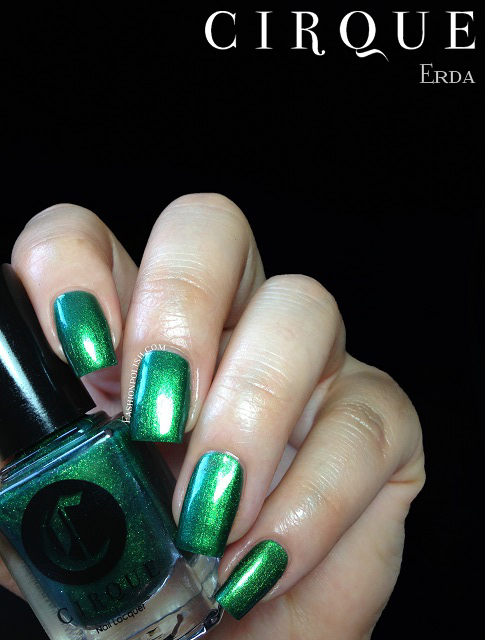 Erda is a smooth emerald green shimmer with a faint blue duochrome. Very similar to Sanguine in terms of finish and application, it required 3 very thin coats to reach full opacity. 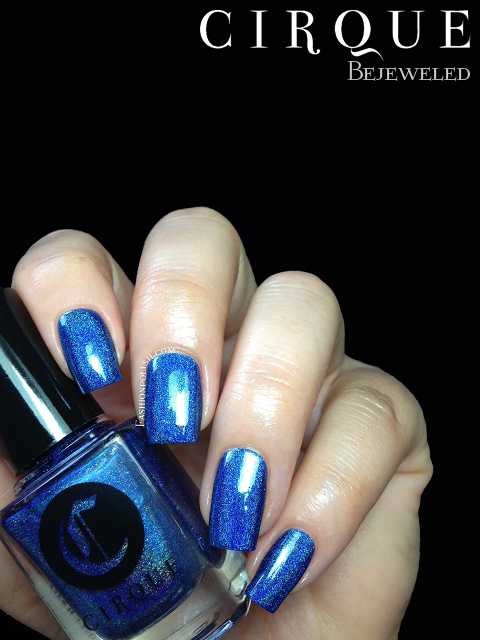 Bejeweled is a deep sapphire blue with a strong linear holo effect. So much stronger in person! 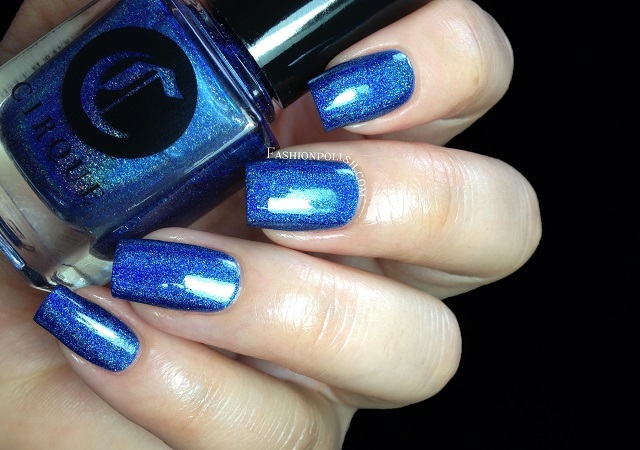 For a holo lover, this one's an absolute must have. 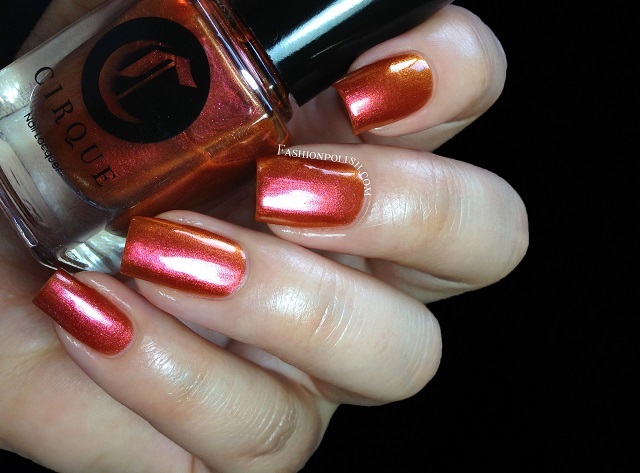 Application was flawless, I used 2 coats plus topcoat in the swatches below. 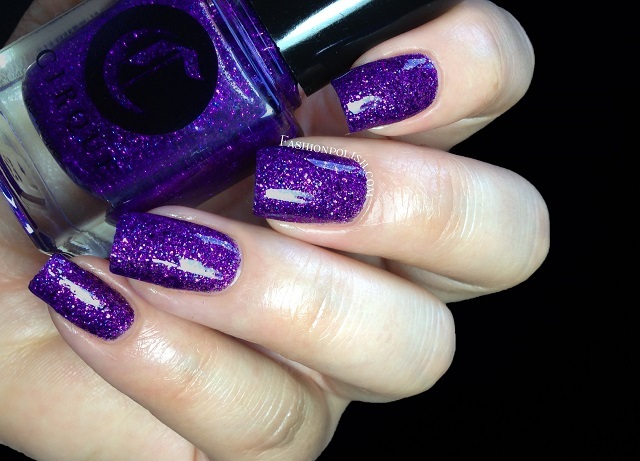 And last but not least, Queen Majesty is a deep mix of royal purple glitters in a clear base. 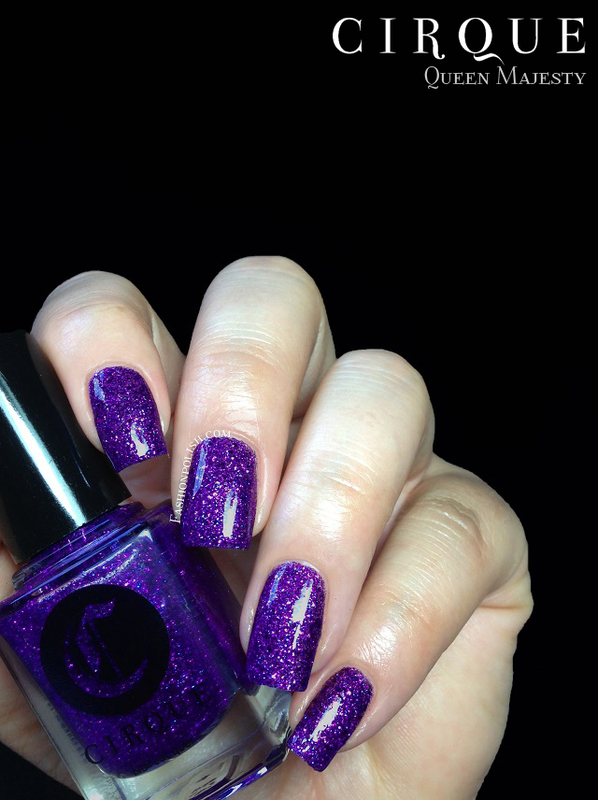 Super dense, I was able to reach full coverage with 2 single coats, no undies necessary! I really love this collection, the holos are to die for, the glitters crazy dense and sparkly and the shimmers super smooth and gleamy! There's something for everyone but most of all, you won't be disappointed in the quality in this collection. The Arcus collection is already available for purchase on cirquecolors.com or through international stockists worldwide and retails for $13-$15 each. Make sure to subscribe to the Cirque newsletter or follow/like the brand on Twitter/Facebook to be informed on the latest releases and promotions. So what do you think about the Arcus collection? Did you grab any of them? Have you ever tried Cirque?